Modern logistics processes are characterised by their high dynamism and complexity. For instance, in the design process of an optimal transport and conveying system, sequencing and consolidation strategies also need to be taken into account. Therefore, simulation tools and methods are increasingly used in various planning phases of a logistics project. Application areas for simulation range from feasibility studies very early in the planning process to Support during rough and detailed planning as well as in the realization and commissioning phase of the logistics system.Particularly in logistics projects, simulation technology can help to secure performance and decrease commissioning times, because with simulation, the interaction of all essential processes can be evaluated and optimised well ahead of time. With shortening realization periods of logistics projects, simulation contributes to planning security and with that to the success of a project. The key factor for the effective application of simulation is quick and qualified modelling. To ensure this, SimPlan consistently uses building block libraries and reference models, which include all conventional logistics elements and strategies used in this field of application. Additional tools support efficient modelling, as well as running and evaluating experiments. 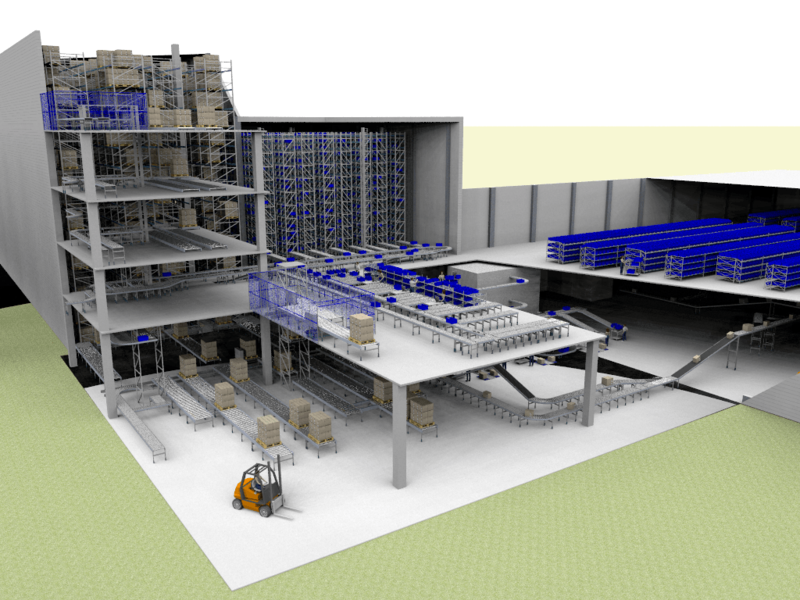 Database connections to collect planning, result and online data during the project are of course included, as are informative visualisations using 2D and 3D animation. The consistent and largely tool-independent information management also contributes to the high clarity of the results. Already in a very early project phase, simulation runs show the influence of systems situated up- and downstream, like production, assembly, etc., on the overall system. Using a modular structure, the simulation model can be quickly adapted to the latest planning state and therefore can play a vital role in the design and development of the logistics System.